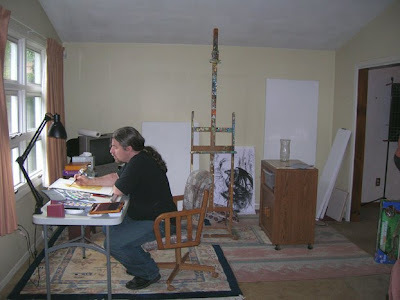 Me in what was once my mom's living room...it has northern lighting and a cathedral ceiling! It'll get lots messier. 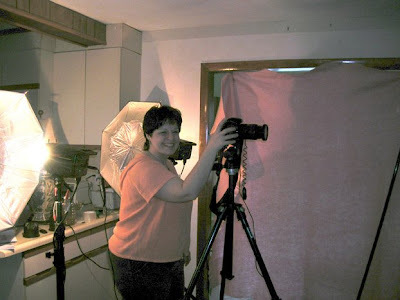 Our good friend Fran Paliotta setting up a shoot of some art for my upcoming dragon book. 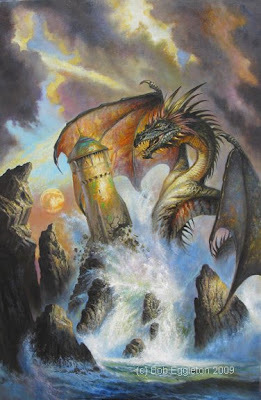 I did the step-by-step in one day, of this particular dragon and we found we needed to follow some very stringent rules on how the publisher wanted the art photographed. 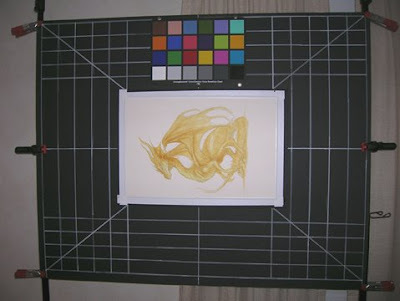 Our "handmade" photo board, and a color chart(almost impossible to find in this day of digital art, no one "photographs" art anymore! Here you see stage 1 of the painting of this demo dragon...more to come tho, I can't show too much of the book as per agreement. 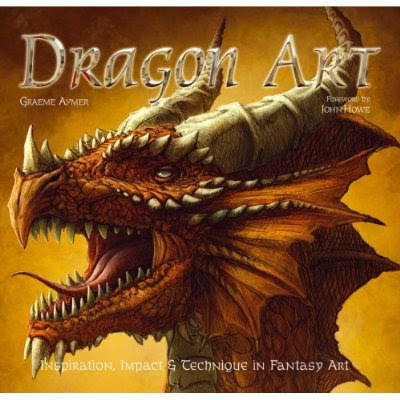 Here's a book I will be featured in along with several other "dragon" artists such as Todd Lockwood, and John Howe. It's available for pre-order on Amazon.co.uk, but will be available in Barnes & Noble in August, or so they tell me. I have a nice spread and interview with me in the book. The format is really nice too, kind of a square book....so I highly recommend it to all dragon lovers. Here is the finished painting, 24 x36 and one of my best dragons in ages. Really happy with the way it came out. I wanted an epic and that is what I gave them. Dave Freer, the author liked it too so much he gave it his "Writer GoH Award" in the Lunacon Art Show.